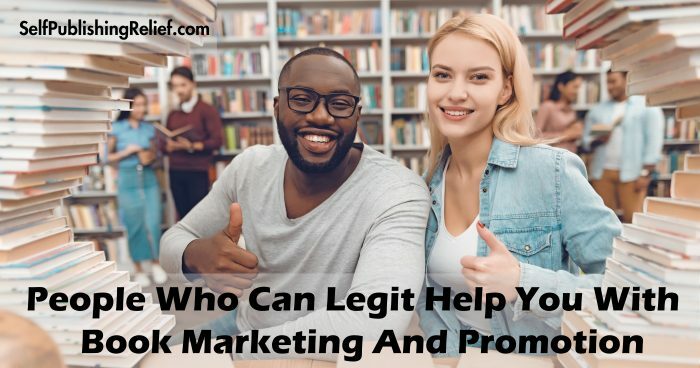 If you’re thinking about recruiting someone to help promote your self-published book, the first person who may come to mind is a professional publicist. But if you’re looking for a more affordable alternative, the experts here at Self-Publishing Relief know there are other people who can help you get the word out about your self-published novel, memoir, how-to book, or chapbook—without the hefty price tag! Need Help Promoting Your Self-Published Book? Ask These People! Library event coordinators. Librarians are great people to have in your corner, but they’re not an easy sell. Here’s the right way to pitch a book promotion event to a library. Coffee shop, bookstore, and gift shop owners. Depending on the type of book you’re promoting, the owners of local shops may be willing to host a reading, an author Q&A, or a book signing—or even carry copies of your book for sale. Your chances will improve if you’re an active member of your community; offer to give a writing workshop or participate in other activities that give back or help promote the businesses. Friends and family. Encourage your loved ones, social media followers, and fans to visit their local libraries and bookstores and ask for your book by name. 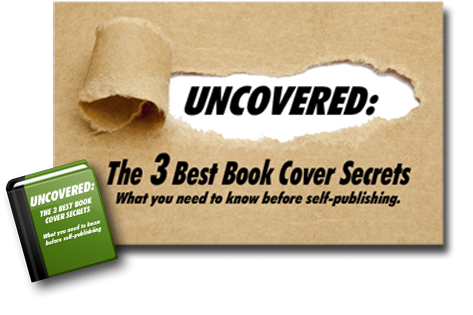 Read more: How to ask friends and family to promote your self-published book. Crafters. Creative, crafty friends or family members can help you put together something tied into your book’s theme for a giveaway basket, contest prize, or gift to event coordinators, librarians, or shop owners you want to entice. A clever, extra-special gift basket will tempt readers to enter your online contests and giveaways! Readers who like to review books. Ask colleagues and acquaintances to buy your book (we know, it’s kind of hard) and write an honest review on Amazon. You’re taking the chance that the reviews will be positive—but more reviews, good or bad, will help your Amazon ranking. Don’t forget a token thank-you gift in return. Millennials. If you’re feeling stuck or stale in your social media efforts, you may want to tap into the skills of your favorite millennials. These social media experts can help you jazz up your posts, and they know all the tech tricks! They’re also talented photographers and videographers using just their smartphones—something to keep in mind if you want to create a hip new YouTube book trailer. Virtual assistants with publishing expertise. Keeping up with the demands of social media can be difficult, but there are virtual assistants who can handle every aspect of your social media sites so that you can concentrate on other marketing tasks…and get started on your next book! Writers’ forums. If you’re a member of a writers’ forum, you’ve probably made connections with other authors. Don’t be afraid to reach out and set up a cross-promotion or coordinate a guest blog, etc., with other writers. (Just be sure you’ve seen some of their work to avoid partnering up with someone whose books don’t meet your standards!) You can also recruit other authors to join forces and create a contest with a bigger prize, generating interest in one another’s books. Author street team. Do you have a decent following of friends and fans on Facebook? Build a street team—a group of fans who volunteer to promote an author via word-of-mouth! As always, don’t forget to thank everyone who helps you get the word out about your book. And finally, one of the greatest allies an indie author can have in their corner is their self-publishing team. At Self-Publishing Relief, we have our authors’ best interests at heart. We offer marketing tools and can steer you in the right direction to create more buzz about your book. Set up a free consultation! Question: Who has helped you the most when it comes to marketing your self-published work?